This Joint Circular guides the application of a number of provisions of the Law on Legal Assistance on principles, jurisdiction, order and procedures for providing legal assistance in the civil domain; handling of results of legal assistance in the civil domain and responsibilities of Vietnamese state agencies for legal assistance in the civil domain. 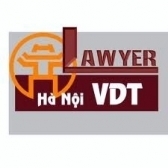 b/ The application of the foreign law is not contrary to basic principles of Vietnamese laws and is compliant with international law and practice; c/ There is a written request of a foreign country’s authority for the application of this country’s law. a/ In case a Vietnamese court or authority requests an authority of a foreign country to provide legal assistance in a civil case or matter when there is no treaty on legal assistance in the civil domain between Vietnam and that country or there is neither an agreement on nor a precedent in application of the principle of reciprocity regarding relevant issues, the court shall send to the Ministry of Justice a written request for application of the principle of reciprocity enclosed with a dossier of legal mandate in the civil domain. b/ Within 10 working days after receiving a dossier of legal mandate in the civil domain, the Ministry of Justice shall send a written request enclosed with this dossier to the Ministry of Foreign Affairs for consideration and decision on requesting a foreign authority to apply the principle of reciprocity. c/ Within 10 working days after receiving a dossier, the Ministry of Foreign Affairs shall consider and make a decision specified at Point d or e, Clause 1 of this Article. In case of necessity to consult the Ministry of Justice and the Supreme People’s Court on the application of the principle of reciprocity, this time limit is 20 days. d/ In case the Ministry of Foreign Affairs requests a foreign authority to apply the principle of reciprocity, it shall send to an overseas Vietnamese representative mission a dossier of legal mandate in the civil domain enclosed with a diplomatic note requesting a foreign authority to apply the principle of reciprocity. Such note must request a foreign authority to issue an official reply on the application of the principle of reciprocity with Vietnam.